Flying out of space is a dream many of us hold very close since our childhood and you know that has been evading us for a long time. But, there is a chance at grabs to exactly find how the world looks from outer space. All you have to do is book a trip to the buzzing city of New York and head to 159 Ludlow Street. 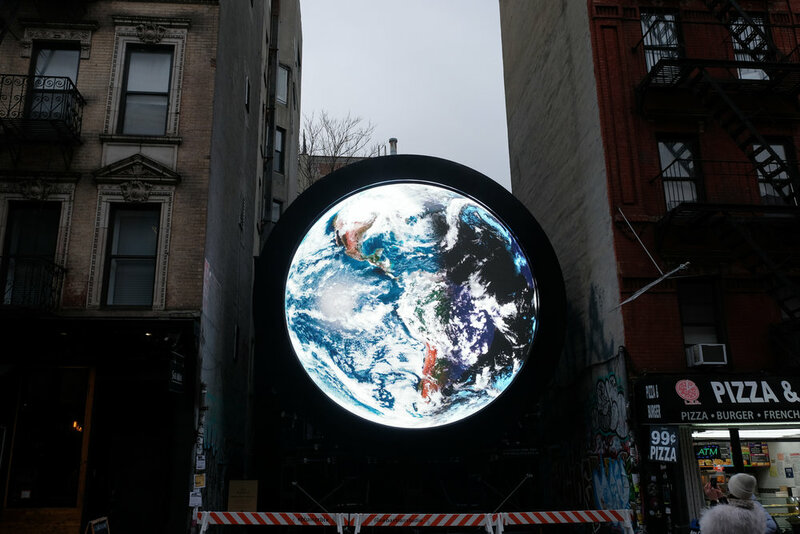 Greeting you at the location will be a 20-feet LED structure – blu Marble that will be feeding the images of Earth from outer space. 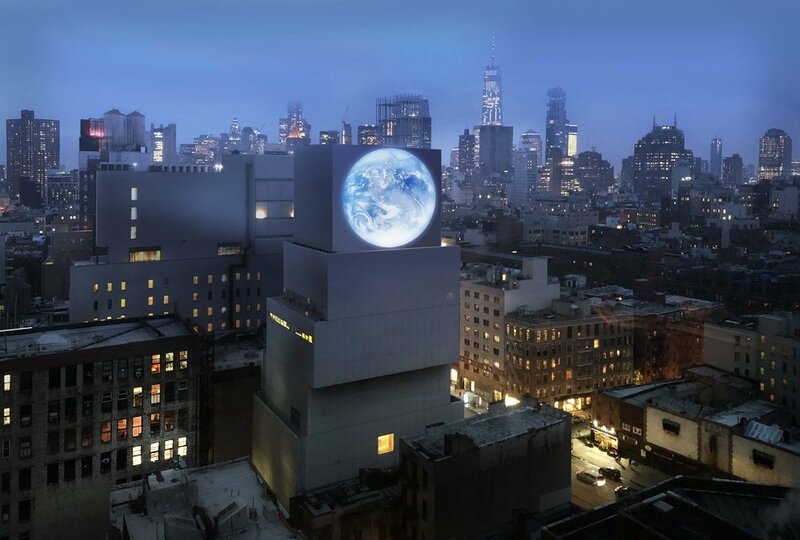 Named after the first-ever photo of the Earth taken from the crew of Apollo 17, 1972 – Blue Marble, the installation celebrates the 50th anniversary of the moon landing. Put together by artist, designer, and activist Sebastian Errazuriz, the objective of blu Marble is to create awareness on the environment and to ignite a positive change within the community. To do this, Sebastian along with his team have created a bot that fetches live images from a NASA Satellite, runs it through software, and streams static images without delay thereby making it as a live video feed. The satellite which is originally used to study the ozone, vegetation, aerosols, clouds and reflectivity now presents a live stream of the Earth.